Their point is illustrative. 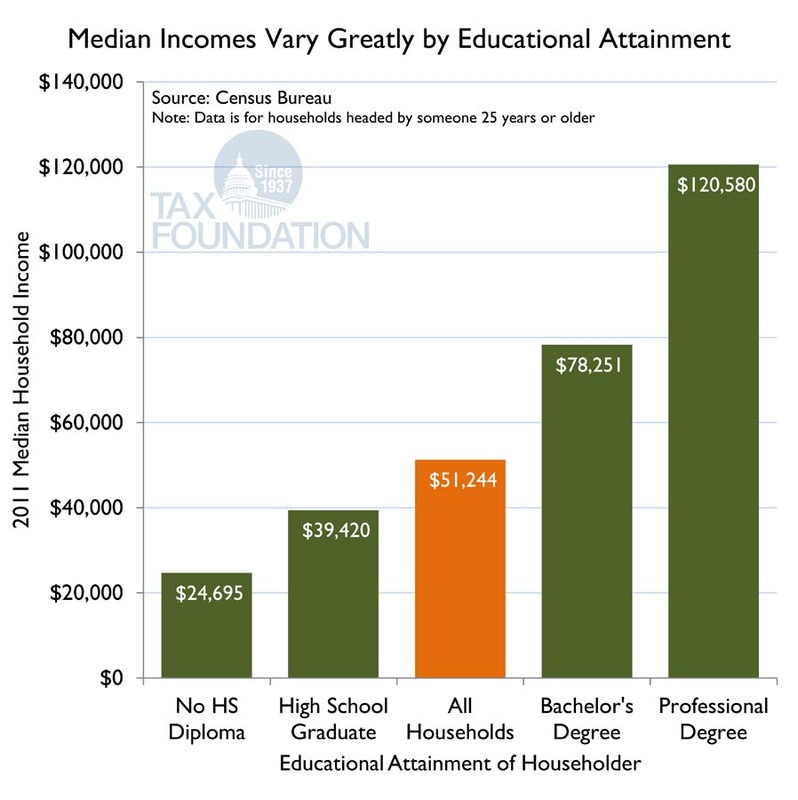 People with college degree tend to make much more income than those with high school degrees or less. People with college degrees make nearly twice as much as those with just a high school diploma. In 2011 the median household income was $51,244, but households headed by a worker with a bachelor’s degree earned a median income of $78,251. For those with a graduate degree, median incomes jumped to $120,580—three times the income of a high school graduate. 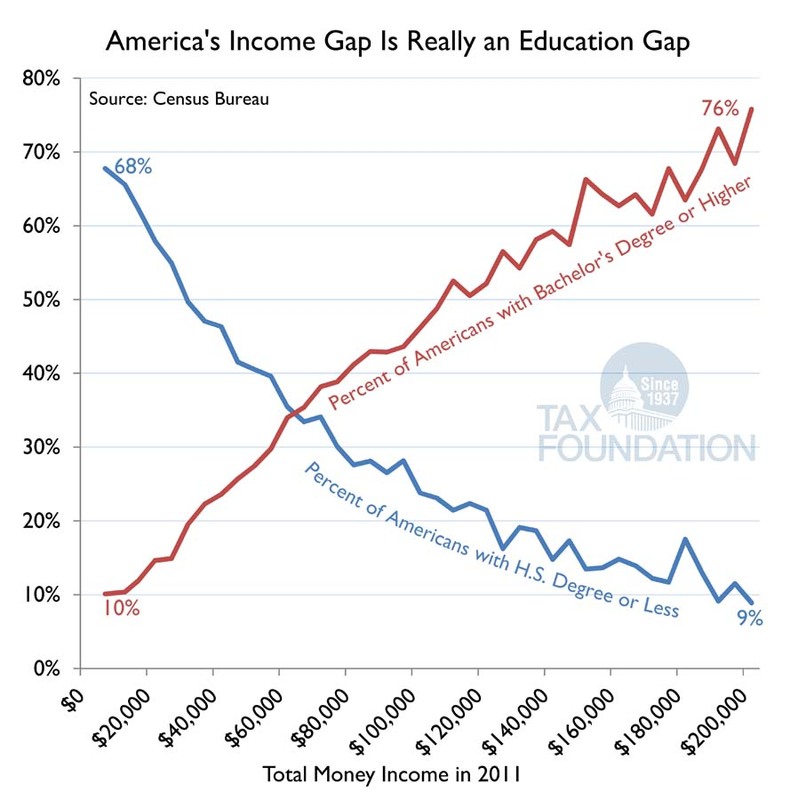 If we break down this information by income, nearly 70 percent of households earning less than $20,000 a year have a high school degree or less. On the other end of the income spectrum, of household making $200,000, about 76 percent have a bachelor’s degree or higher.